Talk about your marketing dollars working overtime. 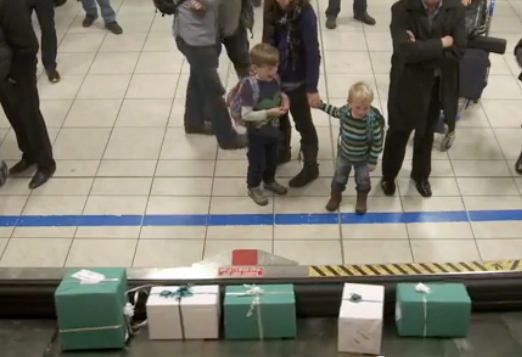 What an amazing creative concept that West Jet delivered – literally. The brilliant strategy had 250 passengers scanning their boarding passes in front of an interactive video screen – where Santa appeared and asked them (by name) what they wanted for Christmas… and the rest is amazing promotional fun, PR, advertising, social media, broadcast… etc. etc. they touched all the marketing bases and put the brand out in front of the world to see and admire. Well done. See for yourself if you haven’t already.